Nussli is a really cool store run by a woman [and her staff] who take great care in the delicious foods they prepare. A bit pricey, but understandable when you see the level of 'hand-crafted' - and quality ingredients - that goes into each item. [Thanks Nift for the introduction]. Really delicious! On the expensive side, but understandable because very high quality ingredients and labor intensive to make-- I would have never tried this if I didn't have a Nift because of the high price point, but I'm glad I did. I will definitely be back and already know of all the friends I will recommend to it. I loved Nussli 118- great experience as someone with food allergies, and the owner was very friendly and helpful. The roasted nuts were delicious. They had a hint of sweetness and saltiness that were perfect. The vegan chocolate cake was heavenly - smooth and buttery and just the right amount of sweetness. The carrot cake was delicious too. Hands down the chocolate cake was my favorite. The owner is very friendly and welcoming. I will definitely be back for more. Proprietor was very helpful and friendly. I tasted a few items then bought a couple items. I signed up for the email list & I'm really excited about it! Shop owner was very gracious and helpful with explaining the selection of foods and offering samples to try. The vegan cake was fantastic, and I liked the crackers, though I wish they were more flavorful. As others have mentioned, this is a niche store and is quite pricey, but it's an interesting spot nonetheless. Great place! Delicious food and drinks! Amazing foods! Angela the owner is super talented! super tasty snacks and friendly service! Maeve was wonderful, great with the kids and our conversation was interesting and informative. We devoured the products we purchased. Thank you! The owner, Angela, was very friendly and gave me a couple samples. The treats are tasty but a bit expensive. I do wish that the rules and restrictions on Nift stated that you must make a min purchase of $15 dollars there (it's only stated on a piece of paper in the store). Nift encouraged me to try a place I haven't previously been to. I really enjoyed my experience. Everything seemed so fresh and the person working there was extremely knowledgeable. Wonderful little shop and very helpful staff. A pretty niche store, and on the pricier side, but the woman there was very friendly and helpful. She gave me samples and suggestions, and the products I bought were delicious. Amazing food and an amazing chef/founder Angela greeted me and allowed me to sample some of her latest creations. We will be back again soon! Organic and vegan paradise! a bit more expensive than I was expecting. the woman who runs it is very sweet and knows her foods!! Pricey, but great snacks here! I look forward to going again! I had a warm welcome when entering the Nussli 118 store and was offered samples of some of the products to help me choose my Nift gift. This is the place to go for a specialty food item for a special friend. Thank you! I'd driven by Nussli 118 so many times, but the Nift convinced me to go in, and I'm glad I did! The owner was so helpful, and gave us samples and told us all about her products. We bought a few different things and they are all really delicious! Looking forward to more visits and trying more things. Love Nussli! Delicious, healthy sweet and savory treats. Amazing high quality nuts, all sprouted on-site. Owner is a wealth of information and so passionate about what she does. Love it! 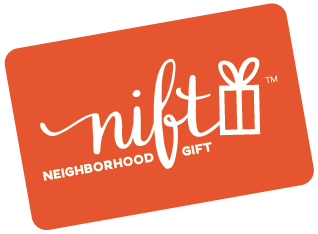 The owner was so friendly and the foods are fabulous...I immediately went to a friend's house to share my goodie bag and it turns out she got a Nift card for Xmas, so she will swing by Nussli to use hers too! 5 star rating (but I can't get the 5* button to work). Very nice cute store with a great store manager. Food was so yummy. Great variety. The delicious, high-quality, natural foods at Nussli plus the friendliness and extensive knowledge of the owner make it a delight to shop there! Nüssli 118 was great! The owner was very informative and pkeasant. We got three different products to try at home. Already sampled one — the Super Dark Chocolate Rounds — and they were very good. Angela was so nice!!! I’d totally recommend!! WE had a great visit to Nussli! The samples were delicious and the food is interesting and tasty! Definitely recommend.